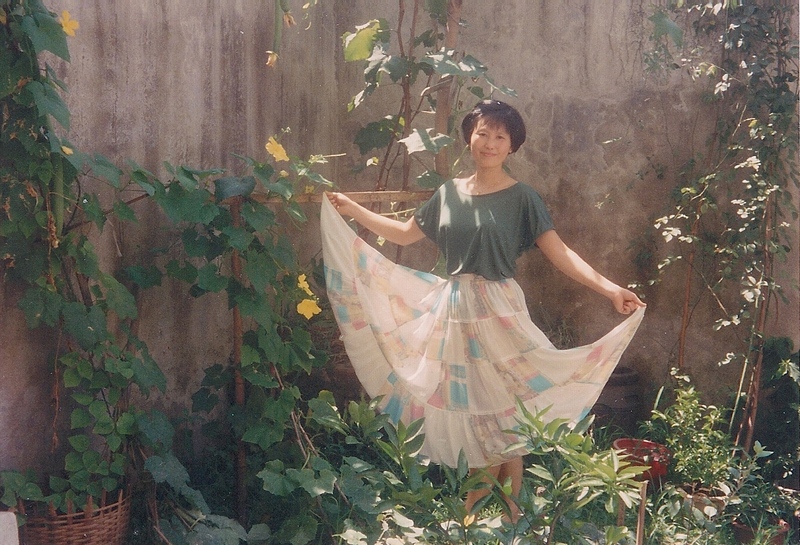 That is an old photo of my mom modeling a beautiful skirt dad made for her, isnt she so pretty? (And that top, it is so in style RIGHT NOW!) According to mom, dad bought two pieces of fabric, one with blueish patterns and one pure white. When he got home, he proceeded to tear them into tiny squares, which bewildered my grandpa — why would someone tear a whole piece of fabric into scrapes?! But dad then painstakingly sew each squares together, with small laces between each layers, and tada! He created a timeless piece for my mom. Do you have anything you wear that is passed down from your parents? Or even more impressive, your grandparents? This entry was posted on Tuesday, June 29th, 2010 at 7:15 am	and posted in juebejue's Dad sews. You can follow any responses to this entry through the RSS 2.0 feed. What a neat story about such a simple, beautiful skirt! I love anything that’s hand-me-down/vintage. My family moved around too much or have always been too poor to have anything of quality that would last. I do have old photos that I cherish and only take out once in a while for fear of them turning yellow. Oh my! The skirt looks beautiful! Where did the red/orangey fabric come from? There’s a lot more than white and blue. Are those scraps of fabric from elsewhere? I love the pattern he created from small pieces of fabric. What a timeless piece! 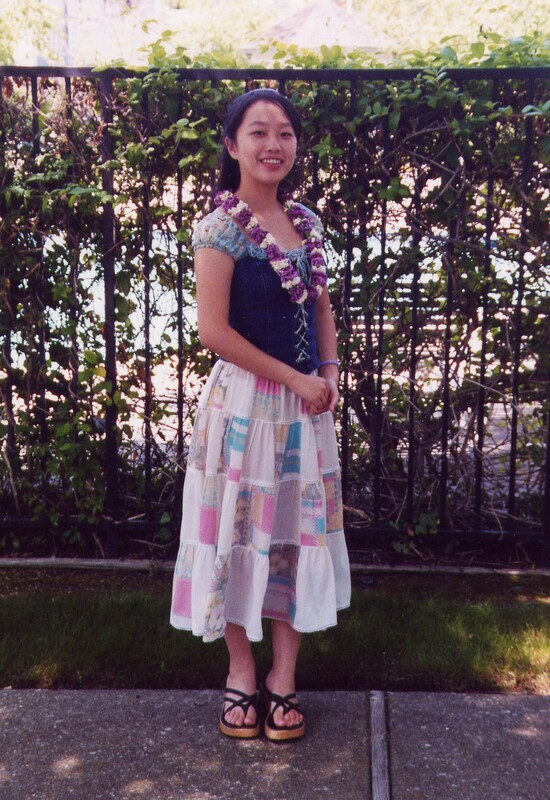 I used to have hand-me-downs from my elder sis. But not from my Mum. Don’t have the same sense of style I guess, lol. Anyways, I really hope it lasts too! Store it in a vacuum pack when not it use! I think your parents passed down more than a skirt. They passed down the practice of you girls modeling for them also =) I never knew your Mum modeled! That’s so cool! you look too cute! your dad is amazing too! woo, i hope to see a picture of it on your blog! Such a fun skirt with a beautiful history! I have a few of my mom’s clothes from the 60’s and 70’s. I also wore her veil (without the huge 1972 headband) at our wedding, along with a bracelet made with pearl beads that had been my grandmother’s (she was a knitter/seamstress/crafter and didn’t use them all before she passed, so they came to me).